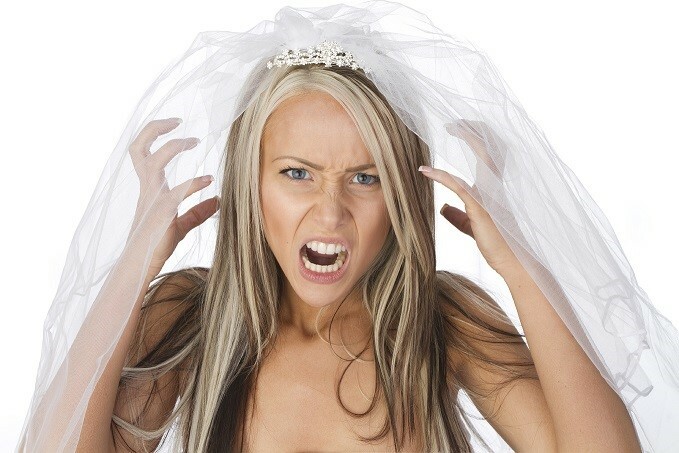 From planning to big day nerves, weddings can be a pretty stressful time. No matter how much time you invest in creating the perfect day, an unexpected problem always lurks around the corner, ready to pile more stress on to your already tense shoulders. While it is common to get overwhelmed when planning a wedding, you should not let it affect your health; after all, you are building up to the happiest day of your life. To help you conquer stress and keep you relaxed for the big day, here are some healthy tips. This is your wedding and it is only natural that you want it to go down exactly as you planned. But remember, you should not have to plan it alone. Along with your fiancé, there is a whole host of people ready and willing to help with any aspect of planning – bridesmaids, parents, siblings, friends, ushers – take advantage of their generosity. Finding items that are affordable will not just prevent you from racking up debt, it helps keep you stress free. Always stick to your guns when negotiating with suppliers – you will benefit in the long run. Staying organized is a great way to eliminate any stress. Creating a timeline for your wedding and sticking to it will allow you to easily tackle any problems that arise. Stress-busting foods will help keep you cool and calm in the build up to the big day. Fruit, vegetables, and whole grains make for the perfect wedding diet. Fried foods should be avoided and, as hard as it may be, caffeine intake should be limited. Some ‘me’ time is essential is conquering stress and you should dedicate hours or days that avoid anything wedding related. Think about taking a yoga class, or booking an acupuncture session. If you really feel like unwinding then treat yourself to a spa day – you have definitely earned it!